BomberBreaks.com is now LIVE! Check it out! 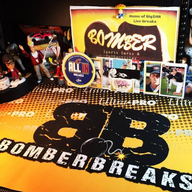 Welcome to the live video home for box breaks by Bomber Sports Cards & Collectibles. Join us on The Break Pad and ignite the collector in you! Find our eBay listings under ID: bomberscc.